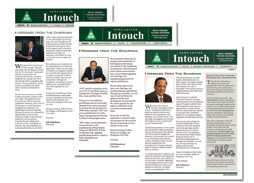 Anu Group remains in continuous touch with its customers through a quarterly Newsletter called “INTOUCH”. Newsletter is a very good platform to share the developments at ANU Group for customer benefit. ANU Group also conducts Technical Seminar for increasing the customer awareness about the best practices to be adopted for more effective usage of carbide tools.